The Tianma Tea House (Chinese: 天馬茶房; pinyin: Tiānmǎ Chá Fáng) is a former tea house in Datong District, Taipei, Taiwan. 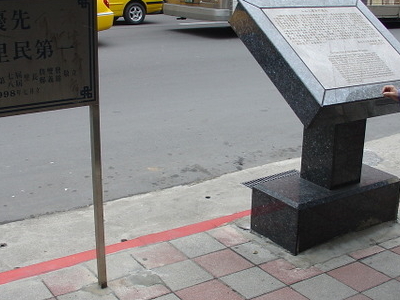 The site is the venue in which a shooting to a civilian was accidentally done by the enforcement officer from the Taiwan Tobacco and Wine Monopoly Bureau of the Taiwan Provincial Government on 27 February 1947. The incident led to the island-wide anti-government uprising by the Taiwanese people called the 228 Incident and the implementation of White Terror in Taiwan from 1949 to 1987. 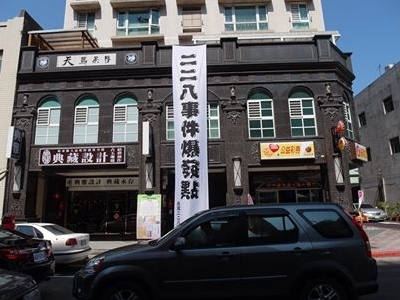 The tea house building has always been the venue passed by in the annual march to commemorate the 228 Incident in Taipei by government officials or civilians. Here's the our members favorite photos of "Key Buildings near Datong District". Upload your photo of Tianma Tea House!